SEARCHING FOR OLD STORIES: Who goes to Minnesota in the winter? I do because many of my old stories take place in this wonderful and often cold state. My destination was Carver County, home to many a Swedish immigrant from Västergotland. Petter Johanson and Johanna Anderson are my first direct ancestors to find their way to Carver County. Later there are two other direct ancestral families who will begin life in Amerika in Carver County. According to my grandmother, Emma Ohman, this first couple arrived in 1858. Grandpa and Grandma came first to Carver County where even at that early date there was quite a Swedish settlement. My Dad (Swan Johnson)…and his twin brother (Peter)…were born there. They remained there for three years. Here they are in the 1860 federal census, line 55, living with another family. 1860.Carver My new friend, fellow clanswoman, and possible distant relation, Marilyn, showed me the bogs, woods, hills, and prairies of my emigrant Swedish people. She spent the day finding resources at the Carver County Historical Society, driving around with me hither and yon, and feeding me both information and food. Marilyn obviously LOVES our clan and its history. The day became a homecoming of sorts for me. A homecoming to a land I had never before visited. Is this possible? Since my visit, I am surprised by my recurrent dreams of its hills and woods and smell of snow. And by my fascination with this small part of my family’s story. Small maybe in years. But monumental in more important ways. Perhaps Carver County was a springboard, a good enough parent, and place to begin in a new land. It was a stopping off point, a place to catch one’s breath and plan ahead for a brighter future than the old land offered. Maybe it was also a place to learn the ins and outs of Amerika in the safety of clan before striking out on one’s own like a teenager leaving home. I think the road my old stories travel pass through Carver County for respite, informal education, cash accrual, and more. It’s the more I am intrigued by. But until I have some answers, I will embrace the treasures from my day in Carver County. So Swedish! 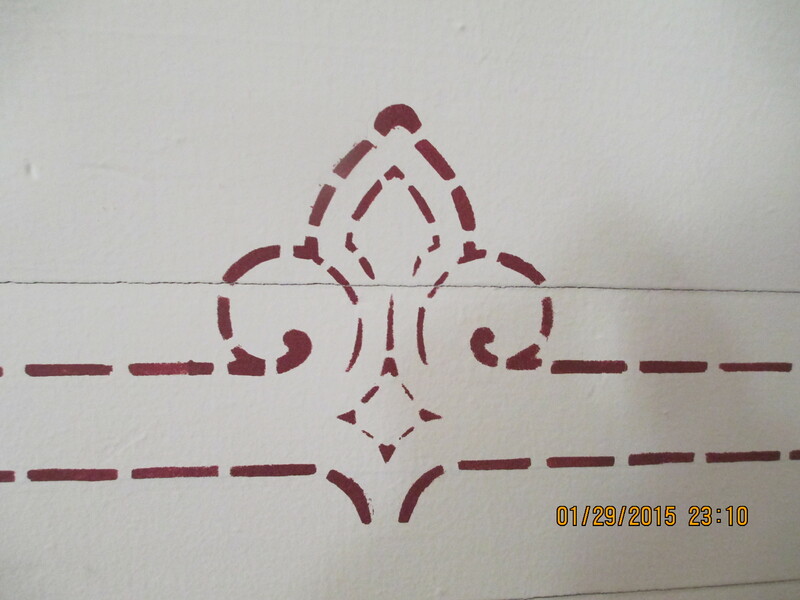 Decorative wall paint at East Union Lutheran Church built in 1866. I don’t know if Peter and Johanna attended East Union or…West Union. 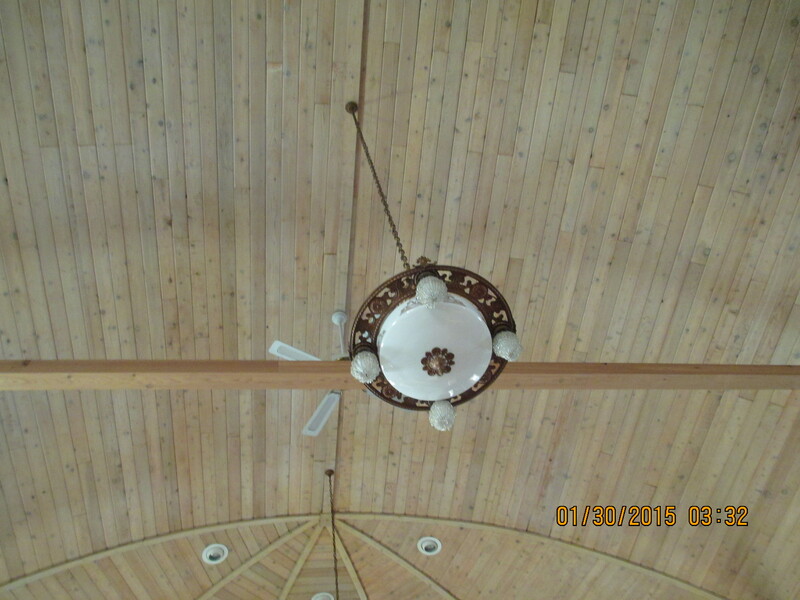 The sanctuary ceiling at West Union was built as the hull of a ship–Swedish style. 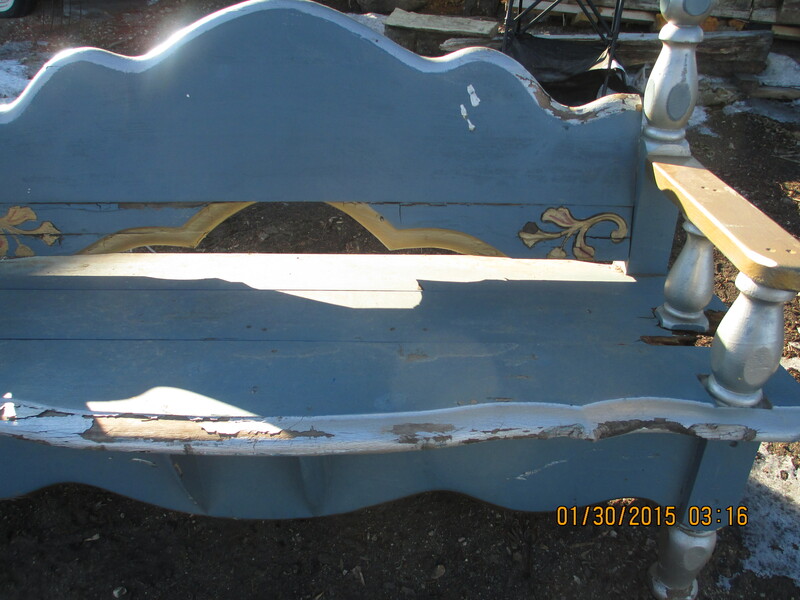 Swedish style daybed sitting out in a farm yard on a cold winter’s day somewhere in Carver County.